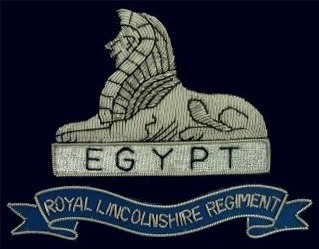 1.1 The Branch shall be called the Royal Lincolnshire and Royal Anglian Regimental Association (Lincoln Branch), and thereafter shall be referred to as the "Branch". 2.1 The object of the Branch is to provide the opportunity for all ranks of the Regiment's past and present to enjoy the old spirit of comradeship by means of branch meetings, social functions, outings and to assist, if possible, in any welfare difficulties. 3.1 Full Member - a person serving or having served in the Regular or Territorial Regiments of the Royal Lincolnshire Regiment, East Anglian Regiment and Royal Anglian Regiment And has paid his/her annual subscription as per Rule 4.1. 3.2 Associate Member - a retired service person other than in Rule 3 1, proposed and seconded by a member and approved by the Branch Has paid his/her annual subscriptions as per Rule 4.1. 3.3.1 A spouse of a deceased full member, proposed and seconded by a full member and approved by the Branch, and has paid his/her annual subscription as per Rule 4.1. 3.3.2 A close family member (le spouse) of a full member, approved by the branch committee, and has paid his/her annual subscription as per Rule 4.1. 4.1 Subscriptions are due annually on 1 January. The amount will be determined for all membership under Rule 3 from time to time by resolution at the Branch Annual General Meeting or Special General Meeting. 4.2 All members are invited, if possible, to make a donation to the Branch annually, 25% of which would be passed on to the Association if the contributing member agrees. 5.1 The Branch Committee shall have the following officers who shall be elected annually by Ballot at the Annual General Meeting - Chairman, Vice-Chairman, Secretary, Assistant Secretary, Treasurer, Assistant Treasurer, Welfare Officer and a Standard Bearer. 5.2 In addition to the above, the Annual General Meeting can nominate a member to sit on the Branch Committee. 5.3 Not more than two associate or honorary members in total should be allowed to serve on the Branch Committee. 5.4 Not less than four of the total number of the Committee shall form a quorum. 6.1 Chairman - shall take the chair at all meetings of the Branch and have the casting vote thereat. He shall also ensure that Branch officers carry out their duties correctly. 6.2 Secretary - shall summon and attend all meetings of the Branch or the Committee and shall keep a record of the minutes of all resolutions, which shall be available for inspection by all members. He shall keep a register of names and addresses of all members. He shall conduct all correspondence on behalf of the Branch. He shall prepare an Annual Report (for the Association). He shall run a "Petty Cash" account - the amount to be determined by the Branch Committee. Any monies received on behalf of the Branch shall be paid to the treasurer. The assistant secretary will work in conjunction with the secretary on all his duties. 6.3 Treasurer - shall maintain the account of the Branch as laid down by the Committee. He shall regularly record all monies received by the Branch and credit to the Bank or Building Society account. He will make all payments on behalf of the Branch or as directed by the Committee and keep regular records of all expenditures. He shall collect all subscriptions due. He shall not pay demands which exceed the limit laid down by the Committee without first getting Branch authority. He will prepare an annual account for the Annual General Meeting of the Branch. The assistant treasurer will work in conjunction with the treasurer on' all his duties. 6.4 Welfare Officer - he shall follow up reports of Branch members being "ill" or "in difficulty" and report back to the Branch Committee. 6.5 Standard Bearer - all duties as laid down by the Branch Committee. 7.1 An account will be opened in the name of the Branch at a Bank or Building Society as directed by the Branch Officers authorised to draw funds from the account will be the chairman, the secretary and the treasurer. The account should require two signatures for withdrawal. 8.1 Two auditors will be elected at the Annual General Meeting of the Branch. The auditors shall audit the accounts of the Branch in time for the treasurer to produce his annual account. 9.1 The Branch will meet every second Tuesday of the month. The Annual General Meeting of the Branch will take place on the second Tuesday of April. 9.2 A Special General Meeting may be called by the secretary on behalf of the Committee or of receipt of a requisition by 20 members stating the object thereof. 10.1 These shall be made in writing, signed by the person or persons making them and forwarded to the secretary who shall bring them to the notice of the Branch Committee. 11.1 No Rule shall be made, altered or rescinded except at the Annual General Meeting or Special General Meeting. Any proposal in connection with these Rules shall be in writing, shall be seconded and shall be forwarded to the secretary at least fourteen clear days before any such meeting; and shall not be regarded as adopted unless supported by two thirds of the number present and entitled to vote at that meeting. 12.1 A copy should be issued to each paid up member. 13.1 Membership cards will be issued or renewed annually and will be of a design to be decided by the Branch Committee. 14.1 These are to be claimed every three months, certified by the claimant and approved by the Branch Committee. 15.1 Dissolution of the Branch shall be decided only at a Special General Meeting called for the purpose, at which not less than fifty per cent of members are present, and then only by a majority of two thirds of those attending, and are entitled to vote. In the event of dissolution, the disposal of assets and the discharge of liabilities shall be conducted equitably and regard shall be had to any other body or organisation.